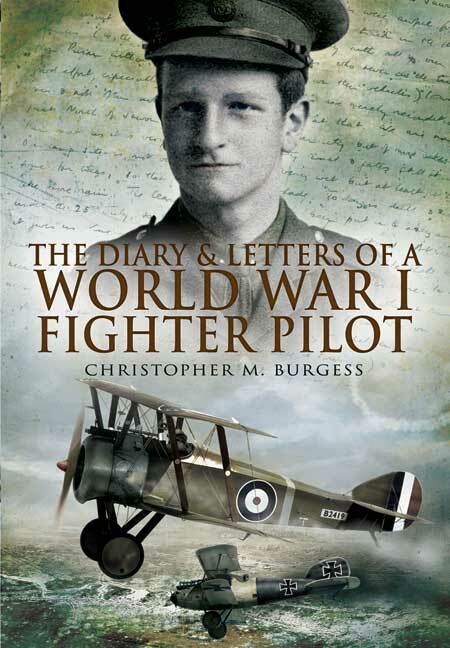 You'll be £4.99 closer to your next £10.00 credit when you purchase The Diary and Letters of a World War I Fighter Pilot. What's this? experiences as a 17-18 year old pilot in the RFC in the First World War, compiled as a series of letters and diary entries. They follow life from his first day of training in April 1917, through his period of active service with 65 Squadron RFC in France from Oct 1917 - April 1918. The account continues to the end of that year, after he was wounded and sent back to England, where he continued flying and training other pilots. Guy wrote virtually every day to his parents, and the letters were also illustrated with amusing sketches in pencil or pen and ink. The diary entries help give a fuller picture of the daily life of a young officer at that time including his emotions, girlfriends, life in the mess, dinner, dances, theatre and visits home. There are remarkable and hair-raising accounts of dogfights and offensive patrols over the lines, but also the drudgery of daily life at other times when it was too 'dud' for flying. The book includes the names of colleagues and friends, so many of whom did not survive that War.